안녕하세요! UIC Radio 소니아 입니다. Hey there! It’s UIC Radio’s Sonia! If you’re reading this blog, you may know a little bit about my emergence into the world of k-pop, but if you don’t, be sure to check out my previous k-pop blog My K-Pop Awakening! In this series of my K-Pop Awakening, I hope to enlighten you in my discovery of K-Dramas and how they quickly took over my life, thoughts, and emotions, as well as recommend some really good (and some questionable) dramas for you to check out! The ever-evolving k-pop void consumes me once again. When we last spoke on this subject, I told you all about the ~*cultural awakening*~ I experienced back in mid-September, in which I discovered my now favorite k-pop group, EXO. I briefly mentioned my discovery of a K-Drama titled Scarlet Heart: Ryeo, which lead to my k-pop expert/friend/roommate Pearl to point out which actor is in EXO. What I didn’t mention was that I actually got into the show, and actively kept up with it until its completion. And man, was it a wild ride. When I found the initial 6-minute trailer for Scarlet Heart, I immediately knew it was going to be over the top and super dramatic (hence the key term “drama”). But my incessant need to lovingly troll my roommate fueled me to pursue the drama further and actually invest time into watching it. For some context, as Pearl Girl explained to me upon my discovery of this trailer, Korean dramas were “unoriginal, over-dramatic TV crap with terrible casting and acting.” Naturally, this ignited the incessant troll in me and I couldn’t help but try to bug her more by watching the first episode and annotating each scene as she tried to hide *evil laugh*. Somehow I managed to talk her into watching some of the episodes with me and, luckily, I dragged her down with me as all my free time became devoted to obsessively waiting for another new episode to post on my new best friend Drama Fever, a free online service where you can stream literally hundreds of dramas. While it was my first official drama and holds a place in my heart, Scarlet Heart turned into a hot mess halfway through the series. The story was hard to keep up with, the main characters were doing inexplicable things that were beyond any comprehension, and I was immediately salty at the screenwriters following the death of my favorite character (who was arguably one of the best characters, if not the only one). Was it trash? Yes. Did I love it? Heck yes. Do I hate myself for loving it? Slightly. Would I binge all the episodes in one go to get the nostalgia out of my system? Absolutely. While Pearl and I waited with anticipation for new Scarlet Heart episodes, we decided having another drama to watch on the side would keep our anxiousness at bay. 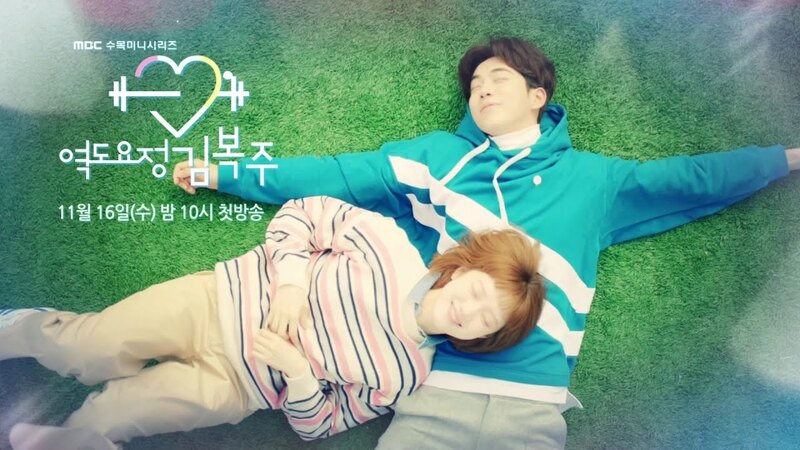 I got word that another drama, called Cheese In The Trap, was really good, so we decided to check it out in the downtime between Scarlet Heart episodes. What’s with the name? was my initial response, but we decided to give it a try anyway. What I wasn’t expecting was how invested I got in it. Cheese In The Trap straight up wrecked me. I was not ready. Based off of a popular Korean webcomic, the main character is Seol Hong, a busy, stressed-out college student living on her own in a city balancing keeping up with her grades on top of a social life and occasionally messy family life. I immediately related to Seol as the main character, a constantly overtired and stressed-out college student who is always studying and picking up the slack in group projects (ugh, we’ve all been there), and dealing with all different kinds of annoying people in her life, whether that be schoolmates who won’t stop pestering her for her notes, copying her image, and even stalking her. The plot picks up when Seol’s mysterious senior, Jung Yoo, suddenly asks Seol out to eat despite their rocky past as classmates. While this sounds like a stereotypical “girl meets a guy who changes her life completely” trope, Jung isn’t a typical popular senior, and Seol can’t understand what drew him to her in the first place. She actually thought he hated her, so why is he expressing his interest in her all of a sudden? Along with the romantic storyline, I also especially appreciated the way the show focused not only on the blooming yet complicated relationship between Seol and Jung; it also shed light on other types of relationships like friend and familial relationships, making it a realistic and believable story, because we all know that having a boyfriend isn’t the only thing going on in a girl’s life. Cheese In The Trap has a different kind of genre, a “romance-thriller,” that had me questioning Jung’s motives for befriending Seol and what in his past changed him into the person he is today. While the ending didn’t match that of the webdrama (which at the time was still ongoing), it was a pleasantly surprising twist on the cheesy (ha) happy ending that would have killed the character development of the entire show. With a diverse set of quirky characters, including siblings Inho and Inha Baek, who also stir up Seol’s life by being associated with Jung, as well as Seol’s quirky friends Bo Ra and Eun-Taek, Cheese In The Trap made me laugh, agonize with heartbreak, and sit wide-eyed with suspense until the last scene. Initially, I got into this drama when I heard that one of my new favorite actors Joo-Hyuk Nam from Scarlet Heart Ryeo and Cheese In The Trap as well as the big sister in CIIT, Sung-Kyung Lee were going to be in it. I thought this would be a cute little slice-of-life drama to keep myself occupied twice a week while I was back at home for winter break. And it was – until its wholesomeness hit me right in the feels. Weightlifting Fairy: Kim Bok Joo stars Bok Joo Kim (Sun-Kyung Lee), a student studying at a university to become a professional weightlifter. 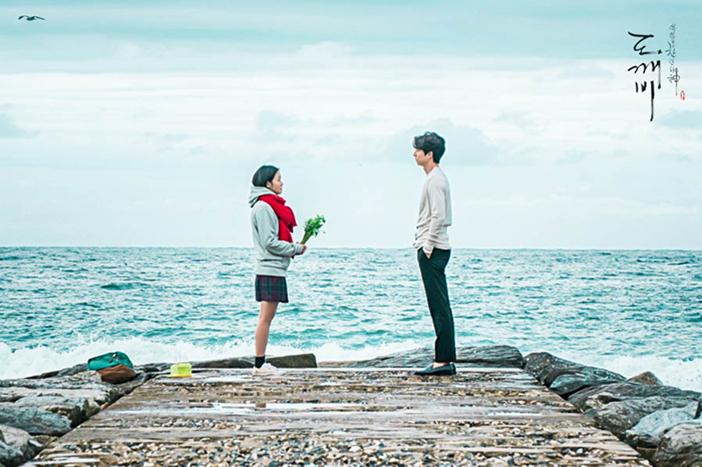 She one day (quite literally) runs into an old, forgotten friend of hers, Joon Hyung (Joo-Hyuk Nam), a swimmer who’s lost his competitive edge. The show documents Bok Joo’s life as she arduously trains to become a professional weightlifter while balancing social and family life. Bok Joo doesn’t have many other goals in life outside of weightlifting… until she develops a rather complicated and inconvenient crush on the local weight loss clinician. Bok Joo’s and Joon Hyung’s relationship dynamic is what stuck me to the drama; Joon Hyung is a charismatic, overconfident yet down-to-earth goofball who can’t get Bok Joo off of his mind, while Bok Joo is a tough, quirky, go-getting girl who loves lifting weights and eating. That is one of the things I loved about Weightlifting Fairy: Bok Joo doesn’t fit the typical female lead role of a drama – that is traditionally feminine, attractive, docile. She’s loud, awkward around guys, and sometimes outright sassy, but she’s actually genuine and believable as this kind of role. She also struggles with figuring out how she can be a woman – she wants to be feminine and talk to guys like any other college girl, but she knows that lifting weights isn’t a typical feminine thing, and guys aren’t typically attracted to girls like Bok Joo. Her struggle with her identity and the lengths she takes to overcome them in this way is refreshing to see on screen. Bok Joo’s quirky, nontraditional character combined with Joon Hyung’s sensitive and overbearingly-loving personality is what kept me with the drama. I loved seeing their relationship develop, and Joon Hyung’s devotion to Bok Joo over time only added to my sentiments. This along with hilarious supporting characters that were not lacking in their own character development and personal depth made for a wholesome and feel-good drama that kept me refreshing in anticipation each week. While I was doing my daily Facebook surf during finals week last semester, I caught an ad (wow, a millennial paying attention to an ad? What is this blasphemy?) for a new drama that was about to air called Goblin. I watched the trailer, and noticed that Go-Eun Kim, aka the main actress in my fav drama ever Cheese In The Trap, was the lead actress! Plus, all sorts of supernatural hoo ha you could imagine: an immortal goblin, a grim reaper with amnesia, a girl who can see ghosts (not to mention a main song in the OST featuring one of my EXO bbs Chanyeol)…how could I pass this one up? Eun-Tak Ji, the heroine of the story, has endured a lot in her 19 years of existence. Not only was she born with the ability to see ghosts, the only reason she is alive in the first place is that a mysterious and powerful immortal saved her mother after she was hit by a car while Eun-Tak was in utero. But who is this mysterious savior? A man named Shin (played by Yoo Gong), who became immortal when the gods put a curse on him after being killed with his own sword – the very sword he used to shed blood of thousands of people during war. But there is a way to break the curse – Shin has to find the goblin’s bride, the only one who is able to remove the sword from his chest and return him to ashes. With such a heavy plot, one would think this would be an equally serious tone to it, but that proved wrong very quickly. Following the hitting-you-right-away-with-the-harsh-deep-stuff first episode (literal war flashbacks of a Korean Jon Snow, the death of Eun-Tak’s mother on her 9th birthday, and an abusive family, to name a few), Eun-Tak’s quirky dynamic with Shin takes off right away when she makes a wish on a candle for the first time in 10 years. Admittedly, this drama was a bit of a challenge for me for a little while there. The mashup of a historical, mythological, and slice of life genres threw my brain out of whack at times, and there were also times where Eun-Tak’s constant positivity and brightness despite living a life of of horror, as she puts it, wasn’t entirely believable. Combined with some unnecessary “let’s pair everyone up with romantic partners just because” crossovers, I felt exhausted at times. 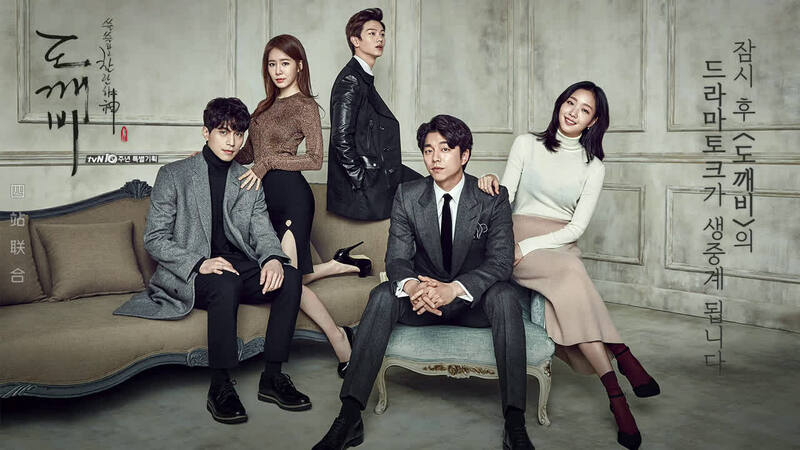 However, I think this drama definitely opened up a new avenue for genres of dramas to take, and the subplots of the side characters was both exhilarating and hilarious (I freakin’ LIVE for the Goblin/Grim Reaper dynamic) and kept me with the show, which makes this drama hold another place close to my heart. 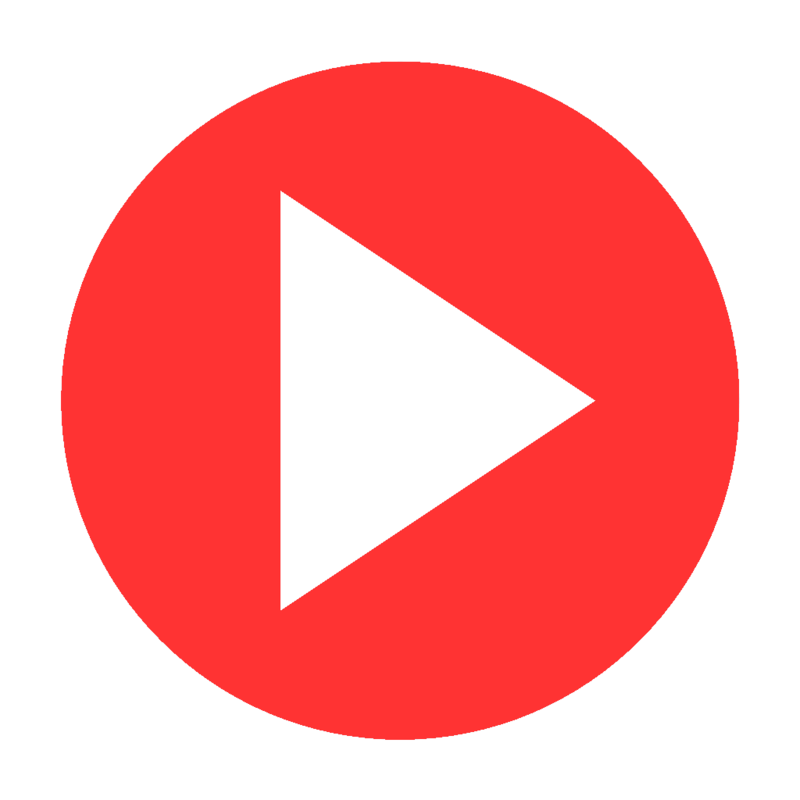 With that, I’ll leave you with a YouTube playlist of some of my favorite songs from the drama OSTs to boost your interest. Have any of the dramas I mentioned caught your eye? Have you decided to watch? Let me know your thoughts!!! Also – I’ll be seeing my first ever K-Pop show (ahh!!!) this Wednesday which I absolutely plan to review, so be sure to stay tuned for that!